Mozilla Firefox 66 is a fast, secure and easy to use a web browser. As it is powered by a new Quantum engine, Firefox has doubled its speed. And the result of that is the new generation of Web discovery – a more intuitive and useful browser. Firefox 66 is a lean, mean browsing machine. As Quantum’s engine uses 30% less memory than Chrome browser, so your other programs can keep running at top speed. Now multi-tasking with multiple tabs just got easier. Because Mozilla Firefox is a multi-process browser, your tabs stay fresh and quick to reload. And you save time while switching quickly between tabs even as you open more. Rust and Servo are sponsored by Mozilla, and they allow browsers and systems to run much faster and more safely. Therefore now you will start up faster, tab hops quicker and scrolls like a speed demon. 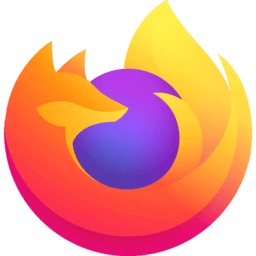 Now Mozilla Firefox 66 is bringing better performance to online gaming. Hence this browser reduces lags, speeds up ping times and optimizes overall gameplay. And it is all due to faster, leaner browsing. Mozilla Firefox 66 has a beautiful, intelligent design. And its new look comes loaded with intuitive features like in-browser screenshots and more. Mobile Browsing – Access your bookmarks, open tabs, and passwords across all your devices. The new Mozilla Firefox add-ons system – the WebExtensions API. It is compatible with the WebExtensions standard, which is supported by Chromium-based browsers (Chrome, Vivaldi, Opera) and the new Microsoft Edge browser. This means that many developers of extensions for Chrome can adapt their products to work in Firefox. Use Mozilla Firefox Private Browsing to block ads with trackers. Besides, the pages will load up to 44% faster. Moreover, the Private Browsing automatically erases your online info like passwords, cookies, and history from your computer. So when you close out, you leave no trace. Your favorite add-ons and extensions. Adblock, Unblock, LastPass and thousands more. Sync between devices. Get your tabs, logins, and history on the go. Ad tracker blocking. Mozilla Firefox Private Browsing blocks ads with trackers. Mozilla Firefox brings Virtual Reality to the web platform. Thus using WebVR, developers, designers, and artists can share VR experiences on the web. In this way, you’ll experience WebVR with Firefox, Mozilla’s fast, private and ethical web browser. Unlike other companies, Firefox doesn’t sell access to your personal information. So in any situation, you’re in charge of who sees what.